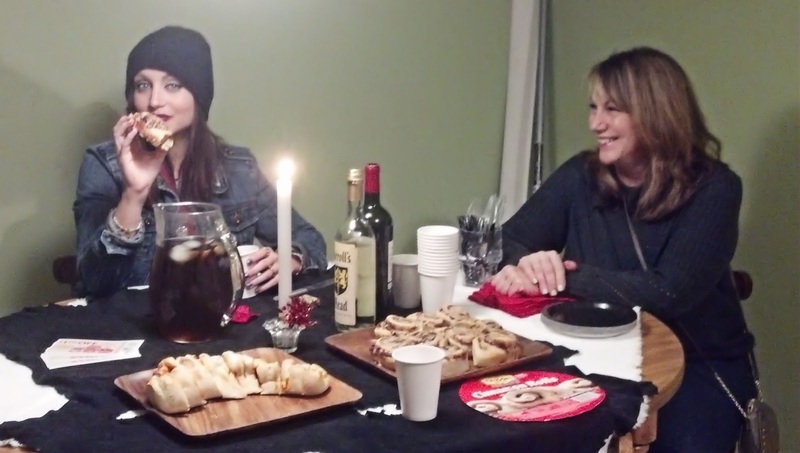 It's This or Murder...: My Rhodes Quick, Easy and Delicious Party: Girl's Night Just Got Sweeter! 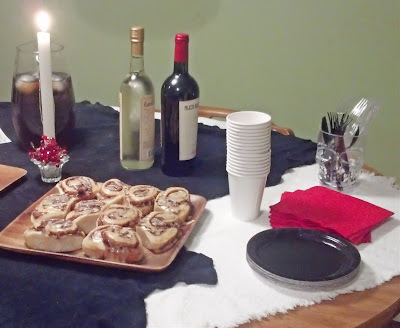 My Rhodes Quick, Easy and Delicious Party: Girl's Night Just Got Sweeter! I love Rhodes Frozen Dough. Much as I enjoy fresh homemade bread, the prep work is insane, and Rhodes allows me to have all the tastiness without the work. And Tryazon gave me the chance to share the goodness with a Quick, Easy and Delicious Party! I went with a combination Girls Night and Halloween theme, keeping it pretty. 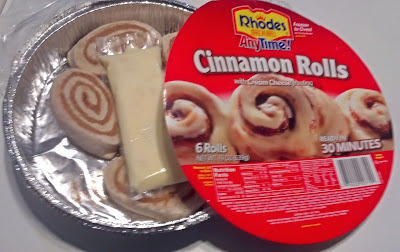 I picked up Rhode's AnyTime Cinnamon Rolls, which are super simple to prep. Everything is included, even the icing! 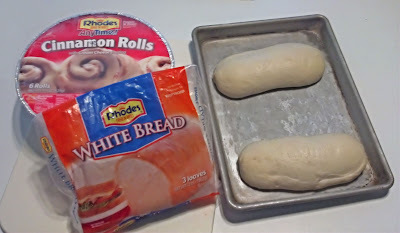 You just arrange the rolls in the pan and pop into the oven. So warm and cinnamony, and the scent will really make your kitchen fabulous. The bread dough became a tasty recipe I found on the Rhodes website: Yummy Mummy Pizza. Very tasty...pizza sauce, cheese and pepperoni wrapped in fresh-baked bread. Unfortunately, mine turned out looking like something OTHER than a mummy, so I had to cut it before serving. But a good time was still had by all! They all said they were surprised that the snacks were made with frozen dough, and were happy to take coupons to get their own. I received products from Rhodes and Tryazon for sharing purposes. My opinions and creepy candle holders are my own. I haven't tried the cinnamon rolls yet but I like how they come with their own pan so clean up is super simple. That's not even the best. They just came out with microwave ones that rise and bake in like 30 seconds. For real. Thanks for the lovely review! ~The Rhodes team!